This collection of seven pieces for harp and oboe, flute, or violin is full of the distinctive harp techniques that make Andres&apos; compositions such a joy to play. 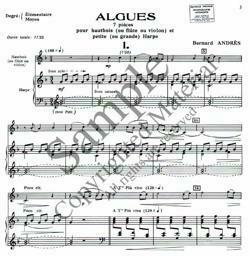 The lyrical soprano line (suitable for either oboe, flute or violin) floats elegantly above the distinctive harp accompaniment. Andres utilizes several interesting harp techniques in this piece, including xylophone sounds, harmonics, and playing with the fingernails. 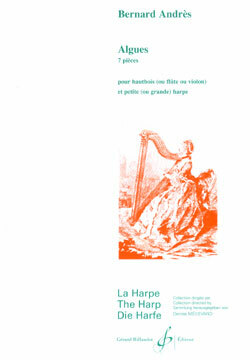 There is a free notation guide available with explanations of symbols and terms used by harpist composer Bernard Andres.